Hey Guys, I had the pleasure of partnering with GrubHub to help save some money on your orders. Click here to save cash on your next order! You may remember I recently became vegan at the start of this year. Many people think it's tough to find meals outside of just cooking for yourself, and that is far from the truth! GrubHub has several different vegan options. Simply search for vegan options on the app or the website. 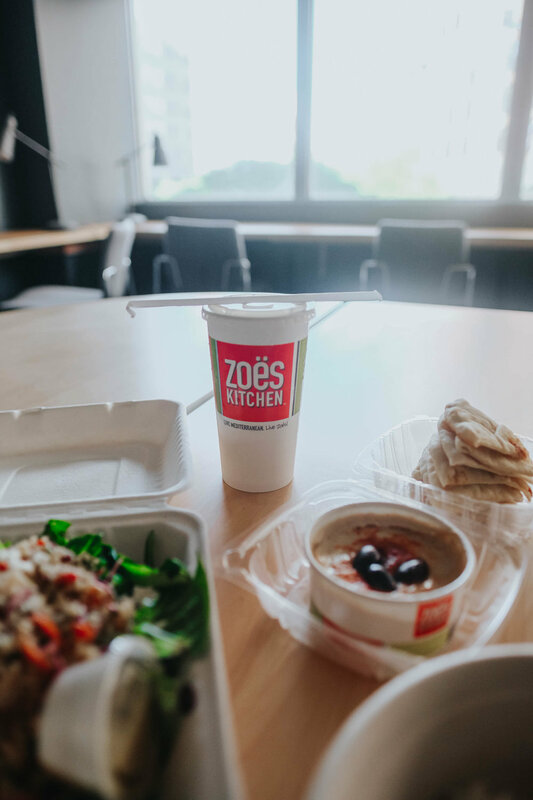 Most recently, I decided to check out healthy eats chain, Zoe's Kitchen, on Grubhub which had over ten vegan options! I chose a few different menu items for my order. The quinoa salad & roasted veggies were packed with lots of flavor. The freshly made hummus paired with warm pita bread lightly brushed with olive oil was a lovely addition to my meal. 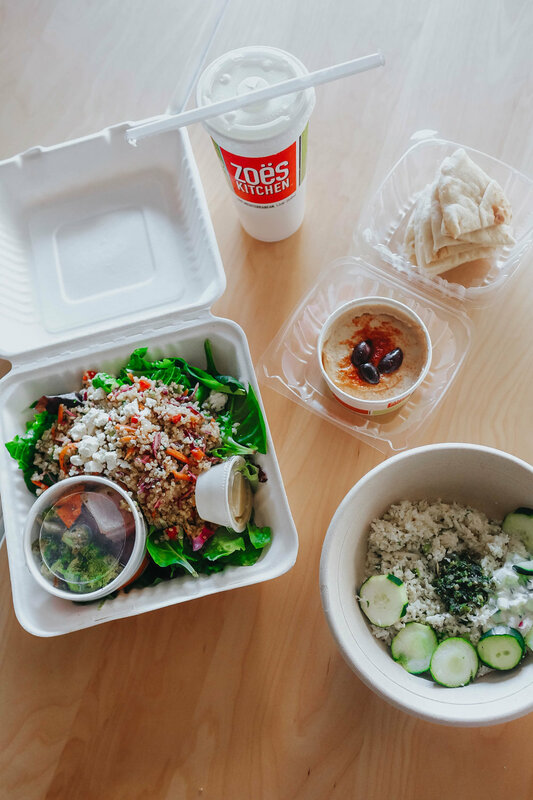 To complete this flavor-packed meal, I had the cauliflower rice bowl (chilled cauliflower rice with house-made tzatziki, Israeli skhug, feta, cucumbers and fresh dill), and felt pleasantly full but not stuffed after finishing this delectable dish. To wash it all down, I had fresh squeezed lemonade. Head over to GrubHub and use my link get your grub on today!